baking bowls at the ready! Home » News » baking bowls at the ready! At Soulscape our army of talented cake makers regularly provide teachers with an extraordinary array of wonderful cakes in the staffroom. Bakers, we think you’re marvellous! Here’s a challenge for you! (And for any budding bakers). Thursday 2nd June. 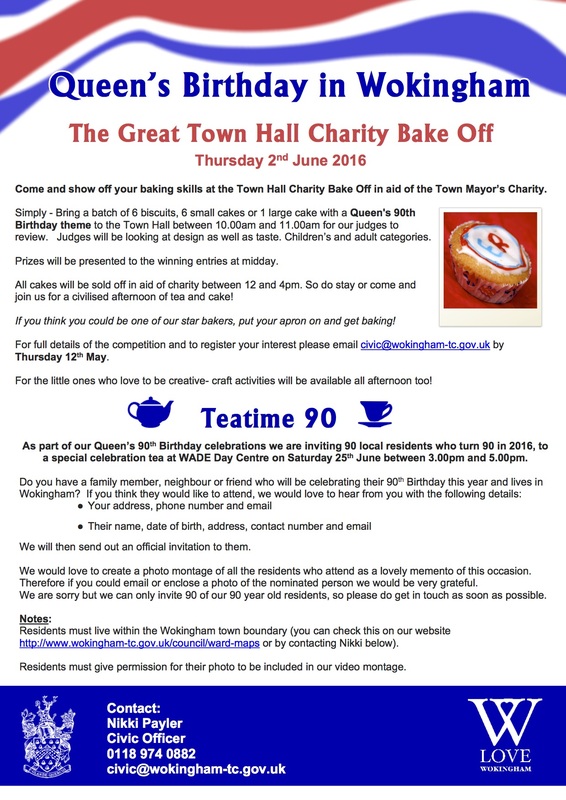 Wokingham Town Hall. Queen’s 90th Birthday themed cakes. Take up your bowl and your wooden spoon! How about it?